For those who believe the Bible to be fundamentally true, this is hardly going to change any minds. For those who believe it to be entirely false, this is surely not the most damning piece of evidence. What the camels in Genesis reveal, in fact, has nothing to do with the “truth” of the biblical story at all. 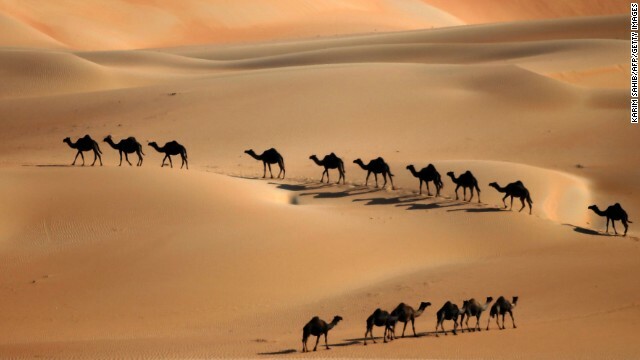 Instead, the presence of these camels in the story highlights, in a very clear way, the essential humanity of the biblical writers: like the best authors, they simply wrote about what they knew. The patriarchs are depicted as nomadic, never settling for long in one place, but moving constantly from location to location throughout Israel (and beyond). An ancient Israelite, wanting to tell the story of the wandering of his ethnic and national ancestors, would have naturally looked to the nomadic peoples around him as models. And indeed, throughout the Bible camels are commonly associated with those tribes who lived in the desert: Midianites, Ishmaelites, Amalekites, Kedemites. The biblical authors simply transplanted the nomadic standards of their time into the distant past. There is nothing deceptive about this. They weren’t trying to trick anyone. They imagined, quite reasonably, that the past was, fundamentally, like their present. They had no real alternative. In ancient Israel, in the period when the Bible was written (which ranges, conservatively, from the 10th to the third century BCE), no one had any way of knowing that camels had not always been domesticated pack animals. After all, we didn’t know that for sure until this past week. Without any evidence to the contrary, it is perfectly natural to assume that things have always been the way that they are now. Today we have more information about the past than any other moment in history. In ancient Israel, they had virtually none. And yet we still fall victim to this basic, very human, historical fallacy. It has been suggested that this anachronism in the biblical text is akin to importing semitrailers into the medieval period. But this is a level of ridiculousness too far. I would suggest that it is more similar to describing a medieval Italian as enjoying pasta with tomato sauce. How many people, even today, know that tomatoes only came to Italy from South America in the 16th century? The camels in Genesis may be “wrong,” but they are not a “mistake.” We all imagine the past to the best of our knowledge, the biblical authors included. The lasting lesson of the camel controversy, such as it is, is a simple one: no writing, not even the Bible, is timeless or without context. Views of the past are contingent on both what we know and how we know it. The Bible is a historical record, but it tells us just as much, if not more, about the people who wrote it as it does about the people they wrote about. Since the stories of the Bible remain so central to who we are as a culture, even today (and even for those who dismiss it), it seems entirely fitting that we should be equally interested in the ancient people who composed them. Despite their lack of historical knowledge — and, equally, because of it — they, more than the characters in the Bible, are our true cultural ancestors. Much ado about nothing. This story is addressed in the YouTube video of the same name, "Will Camel Discovery Break The Bible's Back?" This is interesting, but the mere fact that the Wholly Babble refers to UNICORNS nine times (in the King James Version, five times in others) is plenty of reason to relegate it to the fiction pile. That and a smattering of common sense. I thoroughly believe that most christians have never even read the bible. As an atheist I've read the bible front to back, and studied numerous chapters for debate. I'm always amazed at how little christians actually know about their bible. The references to unicorns are based on the the King James bible, one of the first and certainly most popular English translations of the bible, written in the early 1600s. The definition of "unicorn" until the last couple centuries, was also used in reference to certain types of rhinoceros ( http://sorabji.com/1828/words/u/unicorn.html ). Common use of the word unicorn in reference to the mythical creature was not known to be used until the 13th century, well after the bible was originally written ( http://www.merriam-webster.com/dictionary/unicorn ). I will also reiterate a point that Joel had made in this article. The stories in Genesis predate its author, Moses, by several generations, these stories were passed on by word of mouth by a primitive people for years and years before they were put down in writing. Therefore it should be perfectly understandable that, as Joel stated, there's no way Moses would have known that there weren't domesticated camels. I think we all (Christians included) should understand that the intent of the book of Genesis was not to be a scientific text book, but an account of God's relationship with man. The meaning of the Hebrew word "reym" was unknown to the English translators of the King James Bible way back in 1611 so they used the unfortunate translation, "unicorn". The problem is not the original text but the English translation. Today no Bible scholar thinks reym refers to the mythological unicorn but every modern translation uses the term "wild ox" or "wild bull". Historians feel it likely that the exact type of beast being referred to was the wild "auroch", a massive wild bull which was well known in ancient times but was hunted to extinction about four centuries ago. Though there are still Christian denominations that insist that the King James version of 1611 is the most accurate, that is very much a minority position. Again the problem is not the original Hebrew text but a four hundred year old English mistranslation. There are no unicorns in the Bible. All the atheists on this board seem so proud of how well they know the Bible, I'm shocked (shocked!) that none of them picked up on this! Where can one find the one true, error free, English version of The Babble? another one claiming "truth" when all they have is belief. Still no sign of any gods. the existance of gods is pure speculation. Just because the universe exists, does not show any creator. There are many possibilities that do not include any gods. That may be YOIUR definition of god, but out of the near 10,000 gods that men have worshipped, over 100 are creator gods, and over 400 are the "one true" god. same old religious rhetoric with NOTHING to back it up. The idea that this one study of a single location somehow disproves or proves anything about the Bible is just silly. Another discovery that can be used against Christians, as long as no one asks any questions – like maybe this one outpost did not represent the norm or the lives of other people. If people are going to make guesses, then there are so many others that can be made!!! Or, we can all stop listening, and that's what most of us do. Someone with personal knowledge of the site can dispute the findings, I am not going there. But the analysis is just too iffy. Man created god. There is no doubt about it. Thumbing your bibles and polishing your guns won't change this. I agree! This fact is as obvious as the blue sky! Apparently not to everyone. A shred of common sense is needed I'm afraid. "Using radiocarbon dating of camel bones that showed signs of having carried heavy loads". So, they ONLY dated camels that "showed signs" that they were domesticated. Interesting. What were the results of ALL camels? If you read the linked article (where it says "A scientific report" in this article), it states "Some bones in deeper sediments, they said, probably belonged to wild camels that people hunted for their meat." So they didn't directly radiocarbon-date those, but they figured out those were older based on their relative placement in the strata.